Founded in August 2015 by Secretary of Defense Ash Carter, the Defense Department’s Defense Innovation Unit Experimental, or DIUx, has been working to bring technology innovations from commercial developers to the armed services—quickly. DIUx seems to be exactly the type of government entity that should appeal to the Trump administration; it is leanly staffed, is focused in locations (Boston and Silicon Valley) that are centers for the innovations the Department of Defense (DoD) is looking for, avoids the contractual burdens of traditional government procurement, and has streamlined procedures designed to appeal to commercial companies while avoiding red tape. From the administration’s perspective, DIUx has something else going for it: it has been criticized by Congress. Yet, it is hard to say whether DIUx will survive the change in administrations. 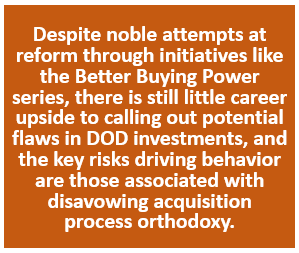 So, if your company has innovative technologies that might be interesting to the DoD, but you wish to avoid the headaches of traditional government procurement, now might be the time to weigh in with the DoD or Congress about the importance of DIUx. Here is a perspective on how DIUx works that might assist you. 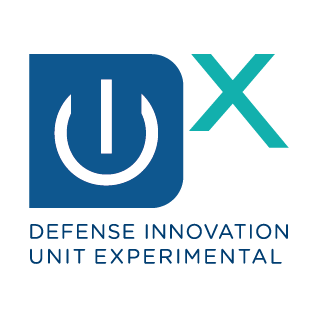 To help the DoD access cutting-edge technology from nontraditional contractors, DIUx introduced a new acquisition mechanism, known as the Commercial Solutions Opening (CSO), through which DIUx solicits solutions to problems the military faces. If a company’s solution is accepted, the company is awarded a special agreement — an “Other Transaction” — for prototype projects (OT), which is not governed by the Federal Acquisition Regulation’s (FAR) burdensome contracting obligations. With its small size and steep learning curve, the DIUx 1.0 could not overcome the weight of expectations from a high-profile launch. As with many startups, the organization suffered from an overly broad purpose and unrealistic demands; unlike other startups, it missed the opportunity to operate in “stealth mode” to address these issues early.